Devio System Administration Utility is an application that allows you to tweak the CR-1 System. It provides two ways to add CR-1 devices you want to monitor. The first method is to add them manually, but you can also import a CSV file containing all the IP addresses of the devices. To set up the devices you can use the Auto Setup option and simply follow the instructions. Nevertheless, you can also go to Control Dialog to manually customize the app’s settings. 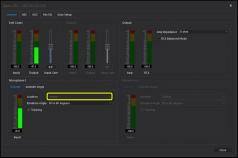 From Control Dialog you can view the status of your units regarding several aspects like output, headset and microphone, as well as enable noise suppression and echo cancellation. No reviews yet, be the first to add a review and we'll give you some extra points. Mp3 wma mp4 ogg and lossless music organizer. Portable audio encoder for MP3, Ogg Vorbis ..